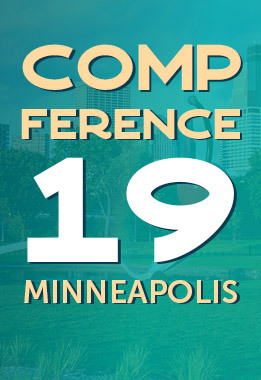 It’s hard to believe that Compference, the biggest conference dedicated entirely to compensation, is only a few short months away. But not to worry – you’ve still got plenty of time to grab your Compference pass before it’s too late. If you’re a first-time Compference goer, or perhaps you’re on the fence about attending Compference this year, know that there is something for everyone at Compference. We hope that this sneak peek of our agenda and featured workshops can help you make the most of your Compference experience. First and foremost, we can’t talk about Compference without talking about the fact that this year’s event is being hosted at the Happiest Place on Earth – aka Walt Disney World® Resort in Florida. If that doesn’t get you pumped up about Compference18, how about a free pass to Walt Disney World® Theme Park that comes with your ticket purchase? Yeah, we’re pretty excited too. But that’s not all we’re excited for. PayScale just announced the Compference18 agenda. Outside of having six fantastic keynote speakers lined up across all two days of Compference, PayScale has curated a unique agenda for each day of Compference. Below are a few of the sessions happening this year that we’re most excited about. The importance of a brand is as important as the bottom line. Hear one person’s journey of going from apathetic staff, to outsourcing, and now bringing it all back in house. Why would one put themselves through this and most of all why would anyone want to work there? Well, the answer is passion and a workforce working together for a purpose. 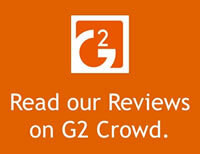 As well as recognizing competition as our partner. As a company that grows primarily through acquisition, Associa is working double-time to build relationships & trust with leaders when it comes to comp and help them see through the ‘red tape’ & understand mutual goals. In 2017, Redemption Plus embraced compensation transparency, sharing market and job detail information with Empower Rangers (our employees) at every level of the organization. As with all great journeys we had to earn our happy ending and are thrilled to share the impact to our culture and our experience along the way with others embarking on similar journeys in their own organizations. What’s the most valuable part of the entire sales compensation design process? How do you orchestrate it in the best way? How do you prepare? What do you need to know? How do you add the most value in the process? Julie Mathis from Futaba dives in to nuances of compensation conversations – what do different generations want to know about comp, how to change up communication style – including the tools used, and when to challenge the conversation. Hear stories from a communication guru and learn how to teach leaders to embrace conversation and communicate how decisions are made so that new, old, young, and tenured employees are getting the information that’s valuable to them. Dude Solutions’ Comp Analyst will share their exciting start to their new role last year and walk you through the process they used to create their compensation strategy. Hear how PayScale contributed to their success, the challenges they faced, and the wins they had along the way. We Can’t Wait To See You At Compference18! For more info on agenda speakers and details on purchasing your Compference pass, check out the official Compference18 events page, or send us a Tweet!